Is reporter Kate Waters’s son a killer? When two British teenage girls vanish in Bangkok following a hostel fire, journalist Kate Waters is sent to cover the story. Her estranged son, Jake, is volunteering at a conservancy project a few hours away and she is desperate for a reunion. When she arrives, she finds to her shock that the main suspect is Jake. Kate struggles to protect her son from the press and the police, while trying to figure out if she can even trust him. Kate’s exploration of the fire and the missing girls is the most personal investigation she’s ever worked—but how can she maintain clarity and objectivity when the story is her own flesh and blood? 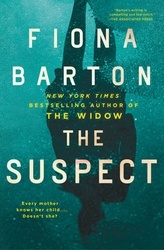 The author of The Widow and The Child returns with a novel of twisting psychological suspense.